Subversion, The 5th game from Introversion. 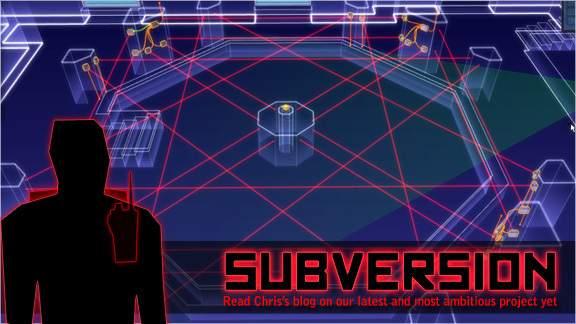 I will soon be starting a new project developing preliminary audio for Introversion’s eagerly anticipated 5th game Subversion. Visit the development blog here. Previous Post Brains Eden Conference.